Time – there’s never enough of it. When the clock is ticking, pulses are pounding and the seconds are counting down, even a super spy hopes for a miracle to come through at The 11th Hour. This collection of time-inspired cues will leave audiences breathless with tension and anticipation until the clock strikes midnight. Time to go because it's the eleventh hour. Clocks, percussion, huge brass swells and swirling strings. There's only one man for the job. Epic tick tocks, mighty percussion, bending synth and strings. Something big is coming. Fluttering clocks and ticks, drums, tense spy pirate strings and synths. Time is running out. Clocks, bells, piano, cello ticks, paper, switches, rises and big percussion. Pacha, the Inca's concept of space and time and the spheres of the cosmos. 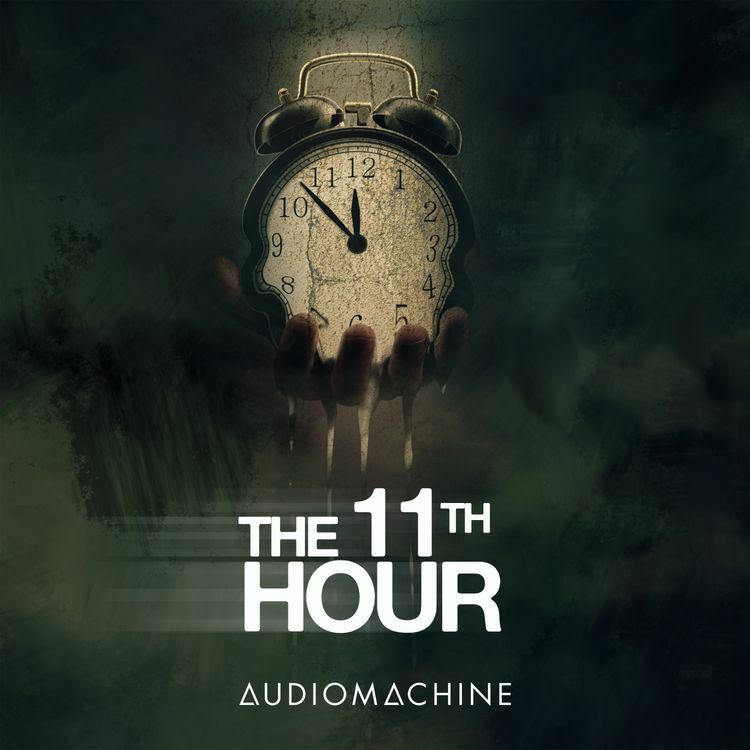 Futuristic atmospheres, braams, clocks, mandolin cello take you on a journey through time. 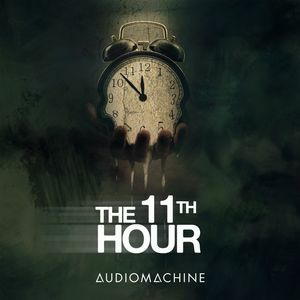 Ticking clock, synth bass, risers, modern sounds and rhythms. Clickety clocks, metals, hits, drums and drones. Pounding drums, distorted guitars make for a thrilling backend. Creepy strings, clocks, pulsing synths bass. Time is running out and something creepy is coming for you. Slow rhythm, clocks, booms, ticks, risers, downers, impacts make for a cool rhythmic track with a huge, pounding build. A time continuum of big bass, low synth swells, big clock ticks, pulse, synth kick and electric piano. As the clocks tick, synths, shepard tone, big bells and low strings take you on a tense rollercoaster ride. A crafty cue of low braams, huge metal impacts, piano pings, Bartok pizzicato, strings, bass pulse and low breaths. Bass oscillation, bell chimes, clocks, piano, rises, synth pulses will take you inside the mastermind of a serial killer. Belly clocks, breathy loop, timpani and a long, slow, tense rise. Time is running out, the pressure is mounting and just minutes before they're back. Hits, kicks, rises, ticks, alarm. Unusual tick tocks, pulses, atmospheres, drums and synths make for a time travelling quest into the unknown. You can only hide for so long. Clock ticks, distorted FX and synths, dark drones and atmospheres are all after you!